Whiplash is an injury that is caused by the spine experiencing an unexpected and forceful forward thrust of the torso, followed by an equally forceful backward movement, causing the head to snap back and forth very quickly. Due to the violent nature of many car accidents, whiplash injuries affect a large number of car accident victims, with the after effects usually persisting for months after the incident has taken place. 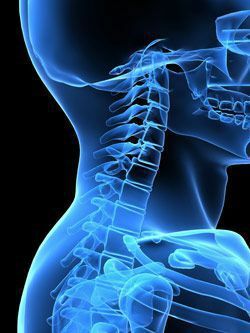 In some instances, injury victims can suffer from the pain of a whiplash injury for their entire life. Have You or Someone You Love Suffered a Whiplash Injury after Being Involved in a Car Accident? Aside from the physical discomfort, whiplash injuries can be very debilitating. This can result in an enormous amount of financial pressure on the victim—due to the associated medical and rehabilitation costs, in addition to any lost wages due to the inability to perform daily job tasks. At the law offices of Tapella & Eberspacher, our team of car accident lawyers has detailed knowledge of the traffic and insurance laws in our state and will fight for your MAXIMUM compensation amount..
To find out how we can help, simply fill out the “Free Case Review” form located on this page. It’s 100% FREE and without any obligation; your information will always remain completely confidential. We proudly offer 100% FREE consultations to whiplash injury victims and we only get paid when we win. Most commonly, whiplash occurs during an auto accident when a vehicle collides with another vehicle unexpectedly. The exact mechanism that causes injury is unknown, but medical professionals believe it to be a stretching or a tear of the ligaments within the spine as the head snaps forward and then whips backward. Rear-end collisions are thought to be the worst scenario for whiplash due to the force of the oncoming vehicle as it collides with a stopped car. This usually happens without any warning so the victims in the stopped car cannot brace themselves upon impact, although it is likely that muscle contractions in anticipation of an accident worsen the damage. Whiplash is sometimes difficult for a victim to identify, as no visible injuries are present on the body. It can also be very frustrating to complain of neck pain because, without any outward injury, people are skeptical any injury exists at all. Damage can be done to any of the three major sections of the spine during whiplash, depending on the position of the body, the speed at which the force occurs and the direction the force comes from. The cervical spine, thoracic spine and lumbar spine can all incur injury to those vertebrae that lie within each region. Whiplash and its associated injuries can sometimes go undiagnosed, thus untreated, and the frustration of being in pain without any recourse can have a deeper impact on the victim than they may ever realize. Immediately following an accident, no matter how minor, you should always visit a medical professional to seek diagnosis and treatment for any injuries. For many whiplash victims, the physical pain, stiffness, and headaches do not begin until days after the accident, so keeping a close record of how you feel each day is important. Whiplash-associated disorders can be treated with rehabilitation services, such as physical therapy, postural modifications, manipulations, mobilizations, and range-of-motion exercises. These treatments can help heal the ligaments but unfortunately, chronic pain is likely to develop in many cases, at which point victims may choose to take prescription pain medicines or explore holistic options like acupuncture. If you are involved in a collision, seeking medical attention can not only assist you in recovering from your injuries, but it can also help to document your injuries if you intend to file a claim against the negligent party that caused your accident. 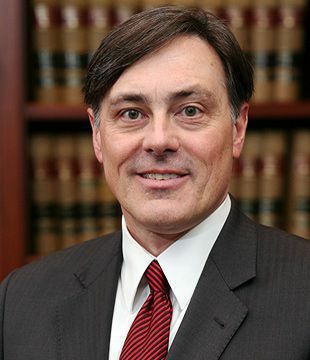 At the law offices of Tapella & Eberspacher we can help you fight for the justice you deserve. …and many more local neighborhoods. Contact us today at (855) 522-5291 to find out how we can help you fight for the MAXIMUM amount of compensation you deserve. We may also be contacted online by simply filling out the “FREE CASE EVALUATION” form located on this page – it’s completely confidential. At the law offices of Tapella & Eberspacher, we're here to help and only get paid when we win.